As a tea drinker, and I am sure this is true for you, I adore teaware, from the chasen to the yixing teapot. Everyone has their favorites! 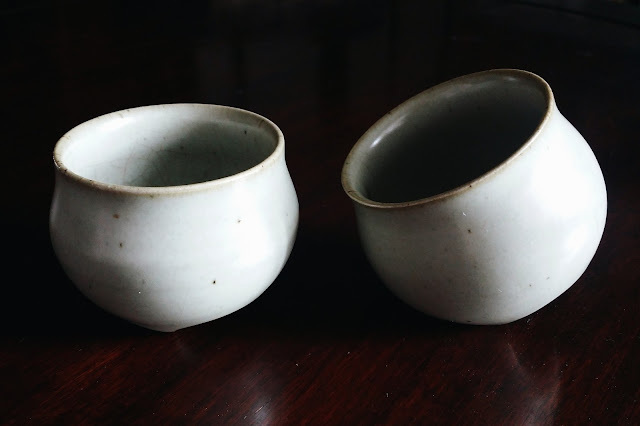 This series showcases the favorite teaware of folks in the tea blogging community as well as people who enjoy drinking tea. 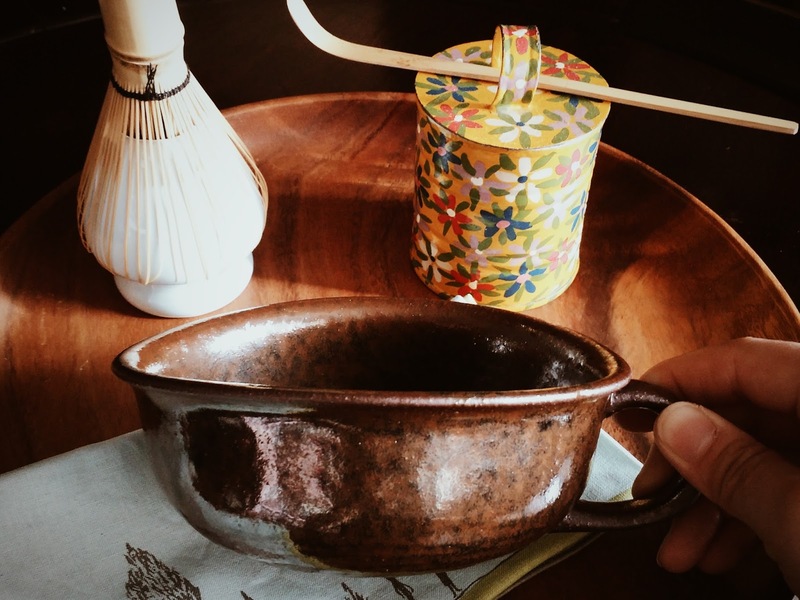 Today I am excited to share the favorite tea vessels of Lisa Chan of Tiny Pinecone. Although the tea and sweets shop is now closed, you can read about Lisa's adventures on her blog and on Instagram. 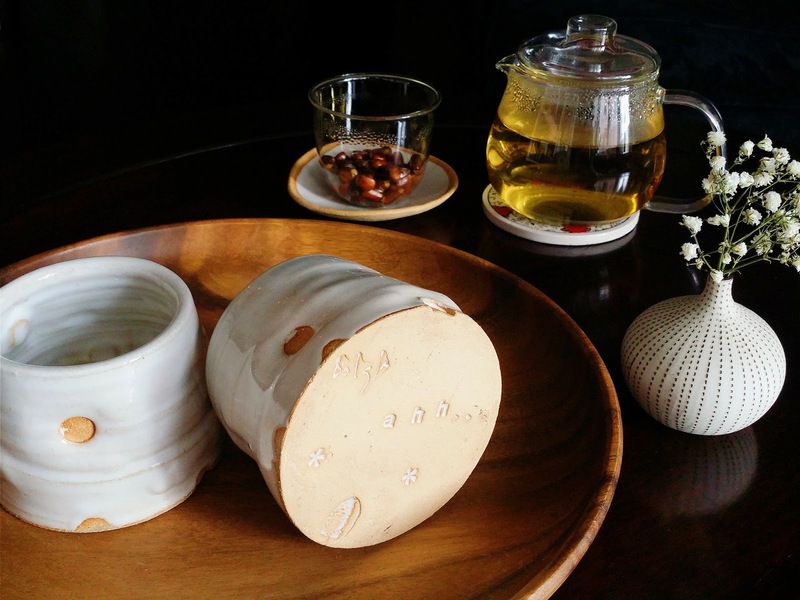 As of this writing, Lisa is apprenticing with Jhen Tea in Taiwan. My gaiwan and tea tray. It is so simple, but so efficient! The fastest way to get the best out of tea. My best friend found this one on Amazon, and I have others, but since he gave me this one it is my favorite. My most favorite cups! They were handmade in Taiwan. It fits right in my hand so comfortably, and I love the interior crackle that is revealing itself over time. It is nice to see the coil and how it was made. Especially fun are its three feet. Countless times I have knocked the cup over, but it saved itself by the curve of its belly. So cute and roly poly. 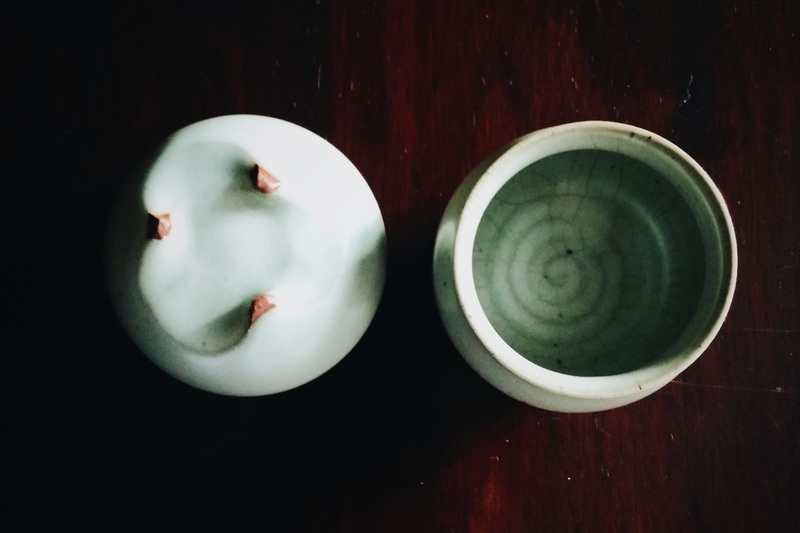 My matcha bowl is not traditional. It is stoneware but looks like a bent and dented bowl you'd find at a campfire. I love it because I keep my matcha in a repurposed soup can, and this bowl fits right in. I found it in NJ at Mitsuwa, and it turned out to be the perfect size for a bowl of matcha. When I enjoy infusions like barley tea, or corn tea, I love using my chubby glass Kinto pot. The cups and saucers were handmade for Tiny Pinecone by the Brooklyn artist, Beth Bolgla. All the thought Beth put in to the tea ware makes the user smile...from the tactile quality of the dots, to the fun stamps on the bottom that only show when you take your last sips of tea. When I hold these cups, I hold all my memories of serving the lovely customers that came to visit our pop-up shop. I fondly recall the dotted Tiny Pinecone cups. 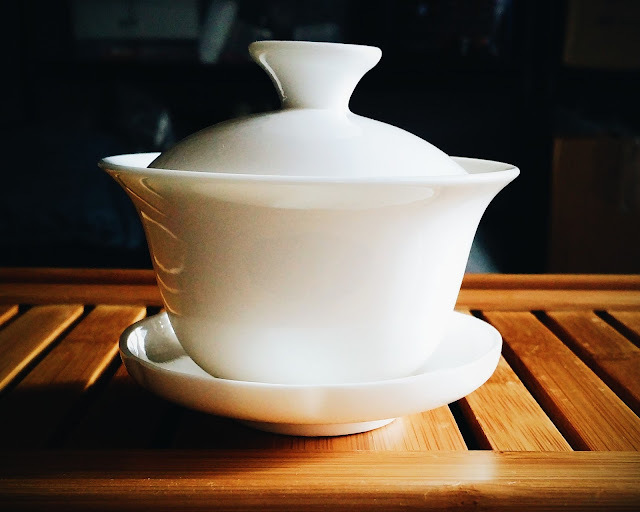 I now have a simple, white gaiwan, which I haven't yet used but think it will become a favorite. I'd like to thank Lisa again for participating in this series. Your vessels are beautiful. All photos and stories courtesy of Lisa Chan.